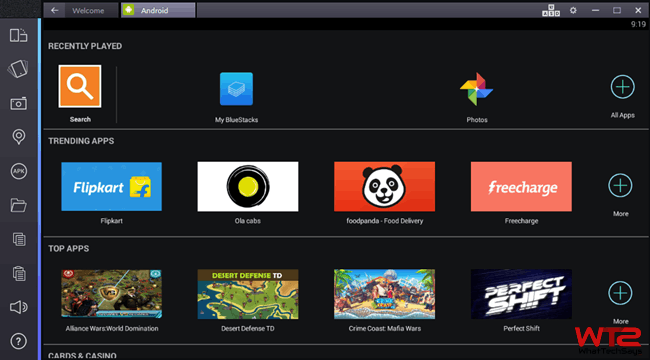 In this tutorial, I’ll show you how to download and root Bluestacks 2 app player on Windows PC. Before going to the procedure let’s know what this amazing application does. Have you ever heard about the emulator? This is a computer term and it is a software or hardware that allows one computer to work like a host for another computer. There are many emulators available on the Internet to helps you to run your favorite operating system on a non-supported system without interfering with system files. That means the new OS works like a user application on your system. Bluestacks is a tech company that produces the App Player and other cloud-based cross-platform products for Android devices. Bluestacks 2 is the latest version of the popular Android emulator which allows you to run your favorite games and applications on Windows PC. Today more than 109 million people around the world are using this product to enjoy their favorite apps on a bigger screen. If you love to play Android games and you don’t have an Android phone, then you can use this emulator to play these games on the computer screen. A question might come upon your mind that why would you use Bluestacks 2 app player on your PC instead of an Android phone. The simple answer is, your phone might not support a game, but Bluestacks 2 has no compatibility issues with any apps. It is designed to run the latest and greatest version of Android apps available on the Google play store without any graphics distortion. As like an Android device, you just need to log in here with your Google account to access and download millions of apps from play store. You can also install an app offline just like a real phone. How to Download Bluestacks 2 for Windows? The new Bluestacks 2 has been released on December with multitasking ability. Now you can browse the Internet and send text messages on Whatsapp at the same time. If you are still using the old app player, then upgrade it to the latest version. 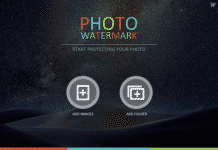 It is available for both Windows and MAC devices. You can download Bluestacks 2 app player from its official website. The best thing with this emulator is, there won’t be any storage limits, compatibility issues and you’ll experience all apps in a bigger screen. If you are using a standard hardware configured computer, then this player will run flawlessly on your system. Why you Root Bluestacks 2? If you can perform many tasks with this emulator, then what is the reason to root Bluestacks 2 app player? Rooting an Android OS unveils many possibilities that a normal OS can’t. If you want to try something different and advanced with your Android, then it is only possible through rooting. It provides administrative capabilities and allows to run root-only apps on the player. Follow our previous article to know whether you should root or not. There are many tools available on the market to root an Android device easily, but this is an emulator. This requires special treatment to perform rooting. 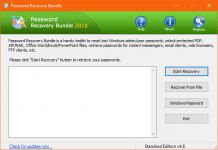 How to Root Bluestacks 2 App Player on Windows? In this procedure, we have used Kingroot, the universal one-click rooting tool. The best advantage of this application is, you don’t need to be an advanced Android user to try rooting your device. This tool is for the lazy peoples who don’t want to do advanced tasks to get root access on their device. This is the most popular rooting software available on the market and supports more than 60% of devices. The team always work on this application to make it better. So, always try the latest version get higher positive results. Kingroot has both Android and Windows version available for download. You just need to follow the below instructions to download and use the correct version to root Bluestacks 2 app player on Windows computer. 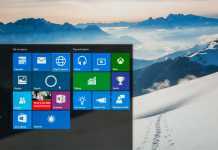 1) Install Bluestacks 2 on your Windows computer and open it. 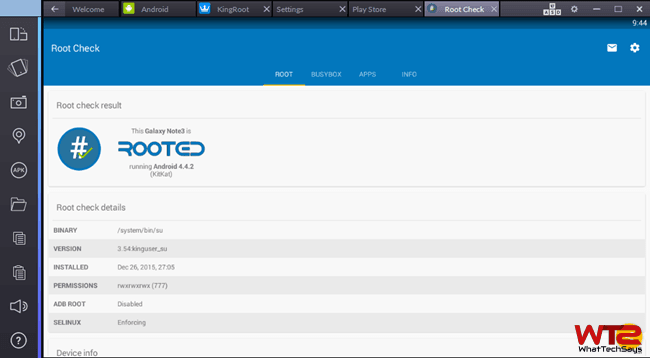 2) Download the latest version of Kingroot Android APK from XDA website. 3) Now double-click on the APK file to install it on the emulator using BlueStacks APK Handler. 4) Wait for the message that says “KingRoot is now installed“. 5) Now open Kingroot app on Bluestacks. It’ll show “Root status error: fix” for non-rooted users. 6) Tap the large Root button to begin the process. 7) Wait for Kingroot app to automatically root the Bluestack 2 app player. Now you are done! Once you finish these processes, restart the player. Next, you have to process one-time setup through Enable AppStore, Setup BlueStacks Account, Enable App Sync to enable Google play store. Once you have done, you can download different apps from play store. In this way, you can easily root Bluestacks 2 app player on Windows PC. The KingUser app is Kingroot’s version of the SuperSU, which grant root access to other rooted apps. If you have any doubt regarding this tutorial, then feel free to comment below. Please check the video. It is working correctly. I noticed a salient point that was left out. Your internet connection must be ON otherwise rooting will fail. So try the process again with a stable internet connection and I am certain you will get a success. Thanks for the tip and please don't add link on the comment.